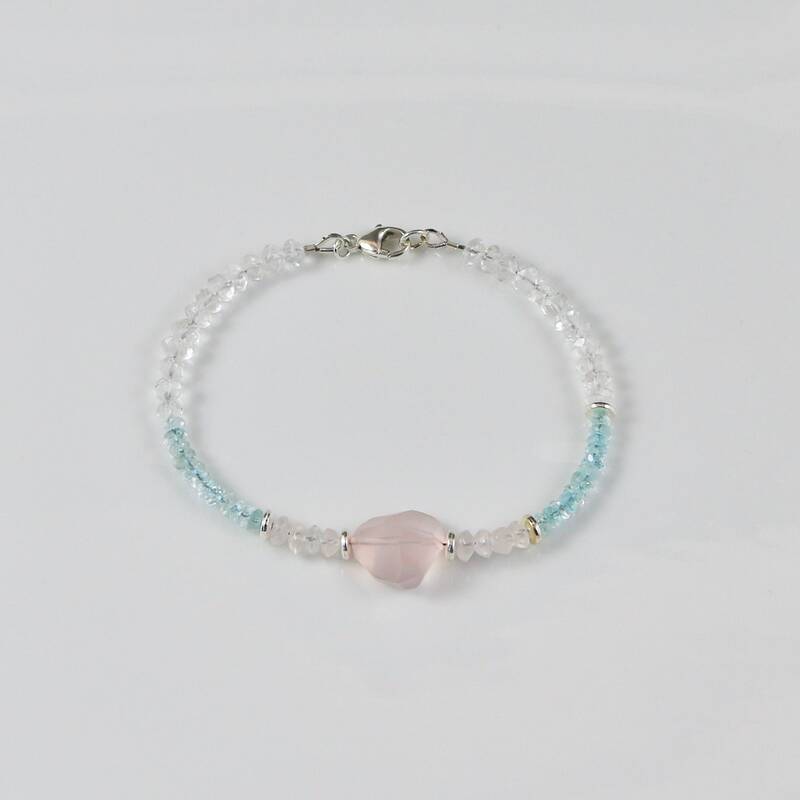 This happens to be my daughter's favorite bracelet...so much so, I had to make her a small one to fit her wrist. 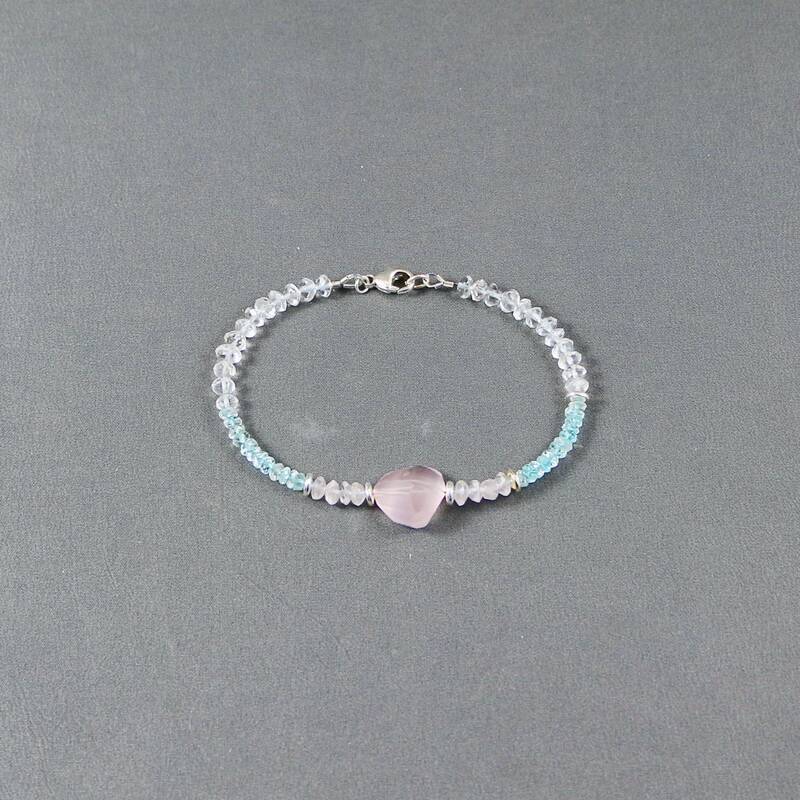 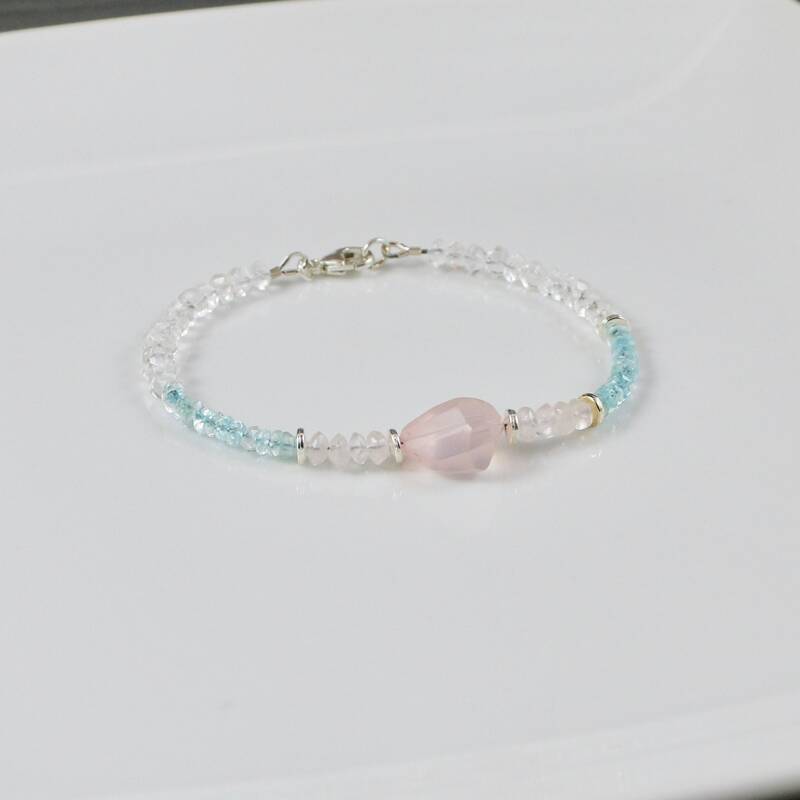 It's the perfect bracelet for that girly girl (just like my Oliviana) with all those beautiful pastel pinks and blues. 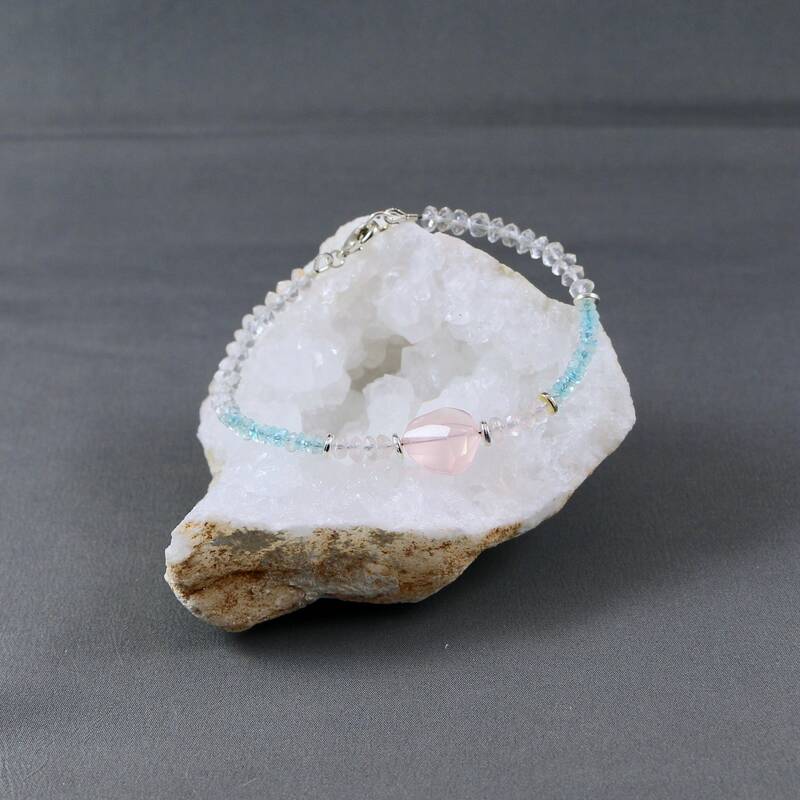 The focal point on this bracelet is the faceted Rose Quartz gemstone nugget, which will vary slightly with every bracelet made since no stone is alike...meaning yours will be unique just for you!